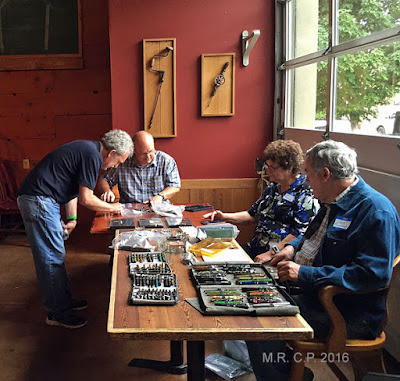 Summer is coming soon(ish), so I thought I'd pass along this information about a fun, free, one-day pen extravaganza being held in Portland, Oregon sent to me by co-organizer Michael McNeil. It's open to everyone and is the closest pen event to our fair city, so I hope you'll try to attend! The 5th Annual Northwest Pen Round-Up! will be held on Saturday July 15th, 2017, at the Lucky Labrador Brewing Co. 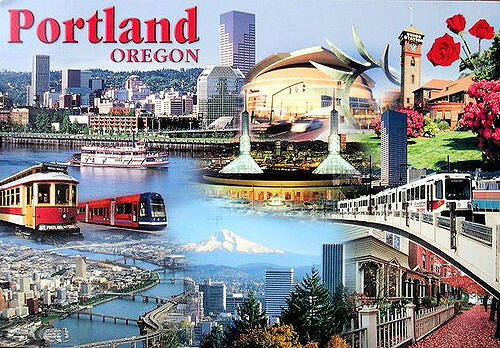 In Portland, Oregon, located at 1945 N.W. Quimby St.,from 11:00 a.m. until 5:00 p.m. 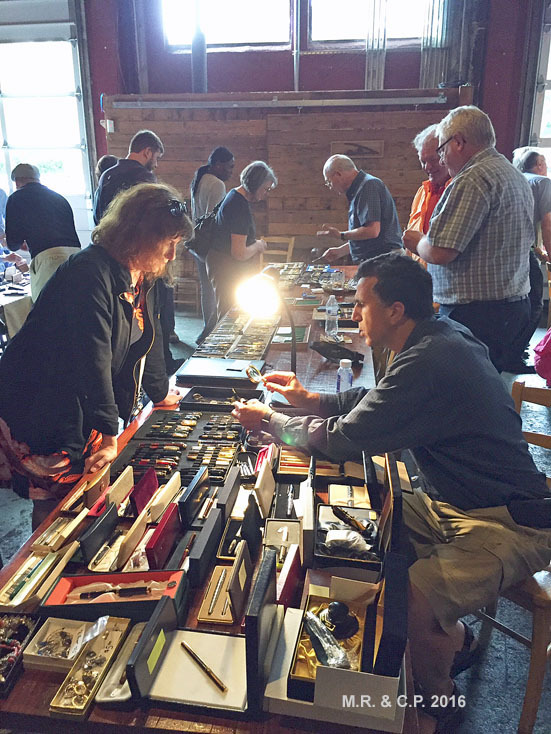 It is the same weekend as the largest antique show in the Northwest, the Christine Palmer Antique Show. Last year the attendance by both buyers and sellers was very good. The attendance by vendors was better than we had anticipated and we had to make extra room for a couple of the sellers. There were pen people here from B.C., Washington state, Oregon, California. There were plenty of fountain pens, mechanical pencils, and desk top items. 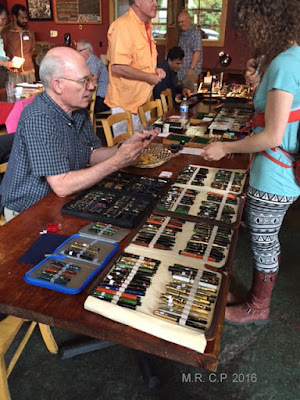 There was plenty of commerce in writing instruments, plenty to buy, sell, trade, admire, learn about, discuss and opportunities to meet other collectors. There is no sales tax in Oregon and people can formally and informally sell writing instruments. 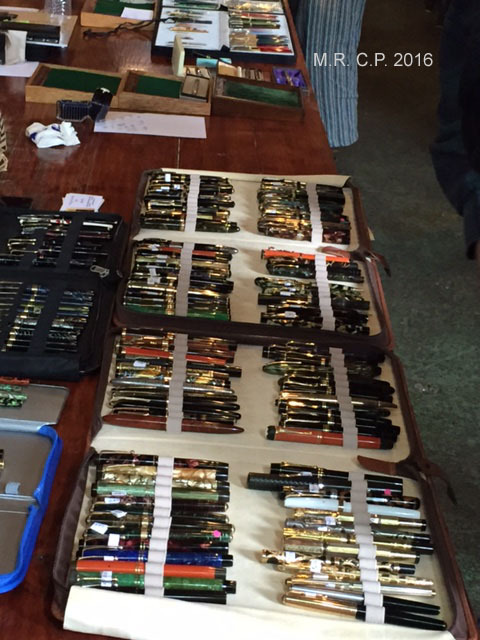 I saw quite a number of extraordinary vintage pens for sale. Also a number of modern pens that I had never seen before. The event room has air conditioning, so that's cool, literally and figuratively. 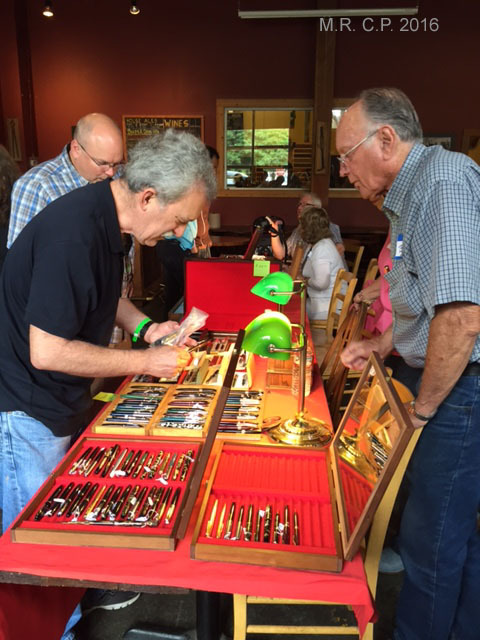 A number of people have planned a Summer vacation around the pen show and the antique show. The Pacific coast always has nice cooler weather than Portland and seldom does it get above 75 degrees there. There are always lots of things to do around Portland. Portland prides itself in being a little off beat and it is always an interesting city to visit. Admission is free. 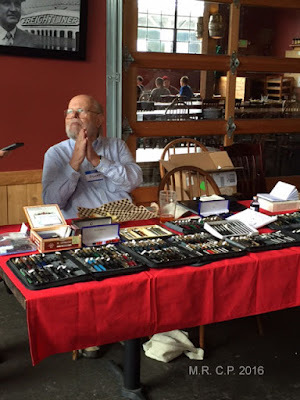 We only charge a nominal fee for vendors who want to set up. If you would like table space, please contact us early, as space is very limited.